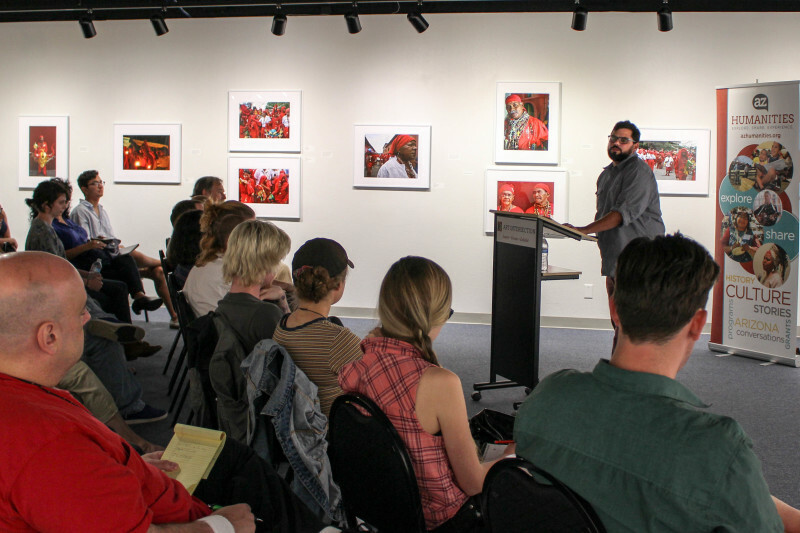 Join poet Josh Rathkamp for a community writing workshop at the acclaimed Art Intersection Gallery in downtown Gilbert, AZ. Inspired by The Dancing Devils of Yare photographic exhibition that explores the ritual dance performed by the Dancing Devils in Venezuela, participants will learn how to overcome writers block and use art and rituals as a form of creative inspiration. Afterwards, hear Rathkamp read selected poems from his works, including his forthcoming book, A Storm to Close the Door. Rathkamp will also be sharing writing prompts and tips online throughout the month of April. Follow @AZhumanities on twitter to get your creative juices flowing. About Josh Rathkamp: Josh Rathkamp received an MFA in Poetry from Arizona State University and an MFA in Poetry Translation from Drew University. He has published two collections of poems, A Storm to Close the Door (forthcoming), which won the 2015 Georgetown Review Poetry Prize and Some Nights No Cars At All (Ausable Press). He has been awarded an Arizona Artist Grant and has been named a Virginia G. Piper Writing Fellow. His work has won multiple awards, including the Sow’s Ear Poetry Prize and has appeared in numerous literary journals and public art projects, including American Poetry Review, The Southern Review, Narrative, Poet Lore, and Rattle. He directs the Creative Writing Program at Mesa Community College. Josh presented a wonderful evening of poetry and interaction with the audience. Thank you Josh for an informative presentation and interesting reading of poems.